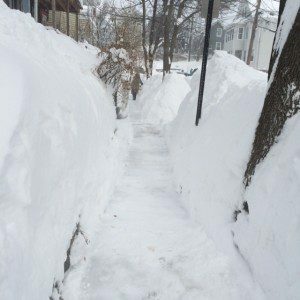 What happens to the real estate market in all this snow? There’s no curb appeal when there are no curbs. 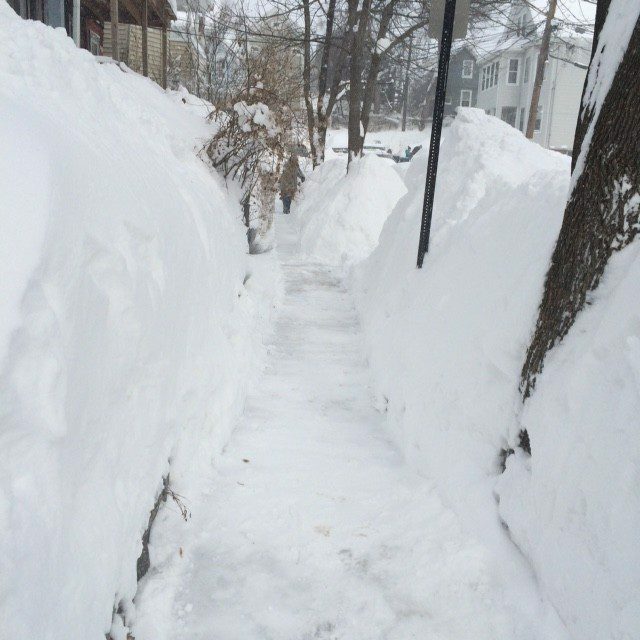 We have clients willing to climb Mount-They-Shoveled-It to see places for sale and clients who are sitting it out. They all want to know when spring will spring in real estate. Spring in real estate generally happens when the snow melts; that’s going to be a long wait. But, even if we get another 12 inches of snow by the end of March, we are likely to see ground in most places by early in April. Here’s why. Sellers who had no leaks will be able to get their properties onto the market right after Easter. That’s about a month later than a normal spring real estate start. Inventory in the Somerbridge metro area has been low for two years. This February, it was very low. I am anticipating another seller’s market, but less drastically uneven in 2015, compared to 2014 and 2013. This winter is likely to push people to move. I anticipate that people who planned a move in the next 2-4 years may jump sooner. City dwellers who struggled to park and find places to pile snow are anxious for off-street parking and some land. Over-housed suburban residents will sell to right-size into managed condos (where someone else hounds the plow guy to get there.) Retirees may head for warmer climes sooner. We all complain; home owners can do something about it. I suspect that inventory levels will become more even by late spring. Sellers will delay putting their houses on the market until after the snow is melted and their roof and ceiling damage is repaired. I have heard of two transactions that fell through because of ceiling leaks. There could be more stories about this, since so many houses have sprung leaks. 4 BUYERS REAL ESTATE Copyright © 2017. All Rights Reserved.